Disclaimer: I received this book from Book Look Bloggers for an honest review. Description: In this third book in the series of fantasy/dystopian novels from award-winning author Jill Williamson, three teens must try to hold on to their values amidst the subjugation and lies of the government. In this final novel of the Safe Lands series by Jill Williamson, Mason and Omar discover the true meaning of Liberation-a secret the Safe Lands have long kept from their people-but find they are trapped in the low lands with this crucial information. Meanwhile, Levi is forced to turn his attention elsewhere when his new wife, Jemma, is captured and becomes the Safe Land's new queen. His only choice to save her may be to take up the role of undercover vigilante that Omar began, leading the rebels in their quest to overthrow the government. But will that be enough to expose the Safe Land's lies and bring freedom to the people? And will they even want it if it comes? This book is constitution from the two other books called "Captives" and "Outcasts". I would love to read the two books before. This book deals with lowlands and Midlands areas along with Kinderds. This deals with mostly the rebels in hiding and though of send to liberation. You goes though the adventures and to find the truth about Liberation and what the government was doing. Can the rebels get the truth out about Liberation and what it means. What happening to Safe land folks? Levi find out that Jenna is having his baby? Omar and Mason work together to get the rebels to help with getting the truth out. Is the Owl know all and sees all. Omar has thing to deal with and will he come over it. What about Mason will he tell where his brothers are staying or will they do need to do a trade to get his brother? There are so many twist and turns that is will having wanting more and to want to turn the page to find out. Mailbox Monday is the gathering place for readers to share the books that came in their mailbox during the last week. Warning: MailboxMonday can lead to envy, toppling TBR piles and humongous wish lists. I hope you all had a good and Merry Christmas. I know i did even though I wish to see my dad and Jenise and Montana\ in Florida. I did spend it with my mom and Icicle and my aunts and uncles and Grandma and Pappap and with my cousins. We all got a surprise with my Aunt Colleen and Shayla had come for the holiday and it was surprise to us all. I got a few things for Christmas gifts that i love. Here you will see the list for my Mailbox Monday. I received a gifts from my family and I think they know me well. 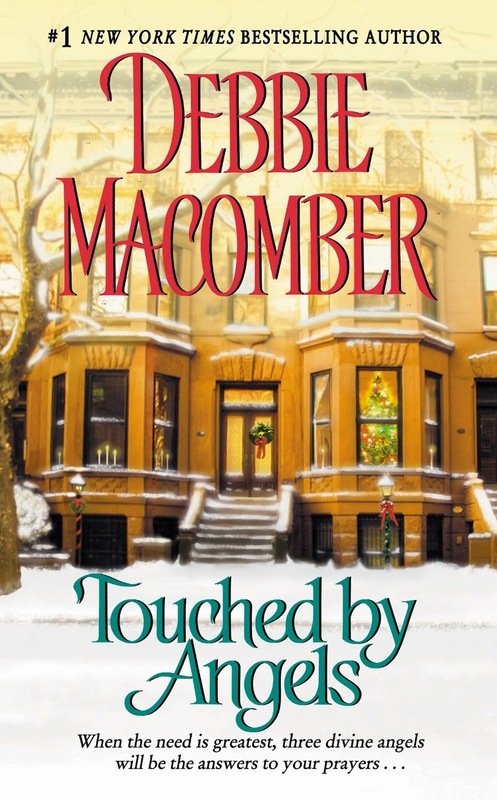 A heartwarming story of love and joy from bestselling author Debbie Macomber. Three angels are each given a prayer request to answer during the four weeks before Christmas. But there's a catch: each angel must teach her charge a memorable lesson before the wish is granted. 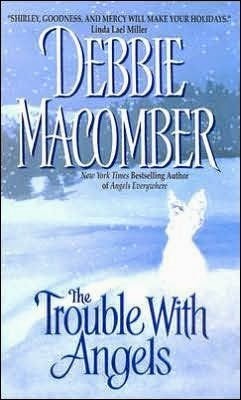 When irrepressible angels Shirley, Goodness, and Mercy set out for the City of Angels to grant three rush Christmas prayer requests, they are sure they can help without resorting to, er, divine intervention. But they soon find it will take more than one miracle to teach their precious lessons of love--as well as make three special holiday dreams come true! In Touched by Angels, the beloved author of Mrs. Miracle, showcases three of her most popular characters: the well-meaning if somewhat dizzy heavenly helpers, Shirley, Goodness, and Mercy. 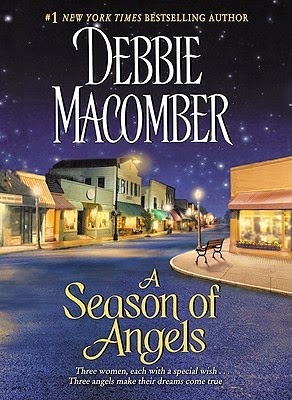 Macomber’s delightful angelic trio alights in New York City in Touched by Angels, and before they re-enter the Pearly Gates, they need to answer the prayers of a troubled school teacher, a shy and lonely young woman, and a wannabe Broadway actress a long way from home. I have a gotten these books as a gift and two movies called Home Alone and Double Feature with Jack Frost and Christmas Vacation 2 (DVD). I hope you are having a good holiday and ready to soon bring in the New Year. I also got a gift cards and steelers stuff and a bike. What Arrived in your inbox/Mailbox or what gifts did you get this week? This post is about the past week that you did on your blog and what is going on around the blogspeare. What arrived in your mailbox or inbox. This post is created by Kimba @Caffeinated Book Reviewer. If you want to rules or information on this meme you can get it here at Sunday Post. I was enjoying this past week. Get ready for the holiday and catching up with my blog with some finished things. I updating with reviews and working on buttons and banners. I have been enjoying my family with this holiday. I am going to be enjoying the New Years week. You can see what is in the works and what coming up on Nighttime Reading Center. This week as been going fast. The 2014 year is wrapping up quickly and the new year just around the corner. Description: When someone buys the old Honeycutt house, Nora Bonesteel is glad to see some life brought back to the old mansion, even if it is by summer people. But when they decide to stay through Christmas, they find more than old memories in the walls. On Christmas Eve, Sheriff Spencer Arrowood and Deputy Joe LeDonne find themselves on an unwelcome call to arrest an elderly man for a minor offense. As they attempt to do their duty, while doing the right thing for a neighbor, it begins to look like they may all spend Christmas away from home. 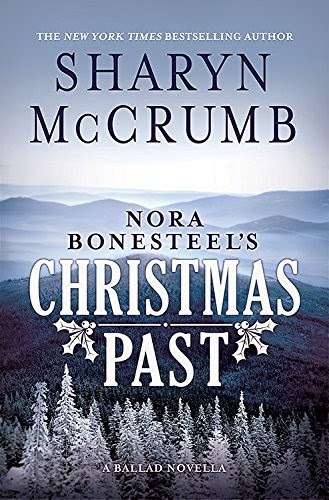 In a story of spirits, memories, and angels unaware, Sharyn McCrumb revisits her most loved characters who know there is more to this world than the eye can see, especially at Christmastime. This story is about sheriff Spencer Arrowood and deputy Joe LeDonne and Nora Bonesteel. Will happen with them. The sheriff and deputy go on a call to bring in someone. They go about as if they now the person. Though the person they have come to get put them though some things. To find out what they did and help they do. They all look like they may on spend Christmas away from home. Nora get a visit from a couple that bought the old Honeycutt's house. Things start to happen once this couple decides to come up and spend Christmas at the house. Nora and many other things start to happen with memories and spirits are found in the walls. You need to read to find out what the story is behind the old memories. Disclaimer: I received the book from Blogging for books for free for an Honest review. After Andrea Wilson receives the devastating news that her husband has been lost at sea, she returns home to Iowa with her young son, Lukas. But what she finds there causes more heartache: The family farm has burned and her father has died, leaving Andrea with nothing. Andrea must rely on the kindness of the people from the nearby Amana village who invite her to stay with them for a time. She discovers much generosity and contentment among the Amanans--especially from the tinsmith, Dirk Knefler, who takes her son under his wing. 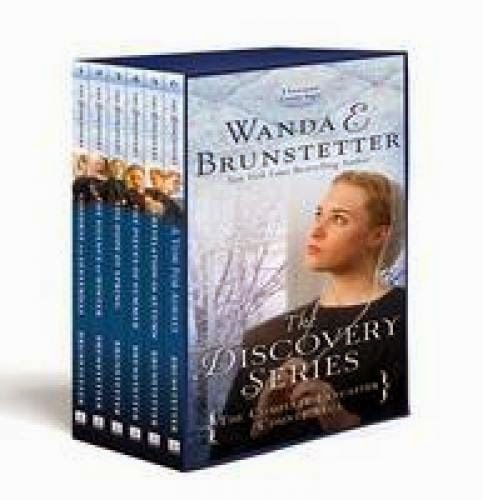 But is the simple, cloistered life in Amana what Andrea wants for Lukas's future? Is she willing to give up the comforts and freedom of the outside world? And when yet another round of shocking news comes her way, will Andrea ever be able to find the serenity and hope that have eluded her for so long? This book is a sweet book. Though it starts with a death. It almost has the acting of Amish community. Those it is not Amish related. It a community that lets outsides in or to become part of the community after awhile. Though Andrea must choose if she want to be part of it or not. While she is there see needs to work and her son must start going to their school. What will Andrea do? 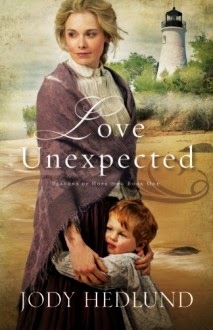 Will she choose their life in Amana or will she leave with her son? Dirk Knefler takes her son under his wing. Is the simple life what she wants for her and her son? You would need to keep up comforts and freedom from the outside world. There a twist and turns though out the book. Will they end up leaving or messing her and her son in the wrong? What will happen between Andrea and Dirk? When someone shows up end expectantly will it rip up Andrea and Lukas life up. This week I got books in the mail. I still some that should be coming. This past week was just as busy in another way. I am getting ready for the holidays and things after. Disclaimer: I won in a giveaway through Black Friday Blog Hop and the author sent me a copy. Description: What if all you've ever known of King Arthur's legend was a lie to mislead you from the truth? What if Camelot truly existed, but was destroyed to keep its secrets? What if there were descendants of the Knights of the Round Table defending us today from the creatures that lurk within the shadows? If the gloaming came looking for you would you answer its call? 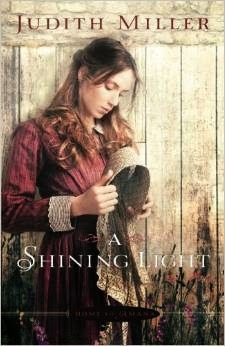 Fourteen year old Abigail Thorne answered the gloaming and it turned her life upside down. Along with her mentor Lourdes Reese, a seasoned hunter in the King's Court, she now banishes the evil shadows while most dociles sleep in their beds. Fighting hidden creatures that feed on humans, glimpsing fractures that lead to another world, and wielding magical weapons all before geometry? That's a normal day for Abbey now, and she loves every minute of it. But, she has no idea that being sent to Britain for her last hunter trial will unleash a chain of events that will change everything and everyone she loves forever. A life will be lost, a life will be taken, and an unexpected new romance will emerge all while the fate of two worlds balances on the edge of a hunter's blade. Disclaimer: I received this book from Blogging for books for an honesty review. Description: She left, heavily weighted with secrets.But God reveals all things, in His timing. Paul, widowed with an eight-year-old son, is relieved to see Suzanne again, giving him the chance to beg her forgiveness for his past indiscretion. But when he meets Alexa, his guilt flickers in the glare of Suzanne's prolonged secret--one that changes everything. Suzanne had let go of any expectation for forgiveness long ago. Does she dare hope in mercy-and how will her uncovered past affect the people she loves the most? Disclaimer: I received this book from Book Look Bloggers for an Honesty review. Description: Willowgrove Hall is full of secrets, but soon everything hidden is brought to light. Cecily Faire has a secret—and she intends to keep it. But when she arrives at Willowgrove Hall to serve as a lady’s companion, she comes face-to-face with the only person who knows the truth about her past. As the steward of Willowgrove Hall, Nathaniel Stanton is dedicated to serving those around him. Nothing escapes his notice—including the beautiful new lady’s companion. He is certain the lovely Miss Faire is hiding something, and he determines to uncover it. But Nathaniel has a secret of his own: he is the illegitimate son of Willowgrove’s former master. Falling in love was not part of his plans . . . until he meets Cecily Faire. 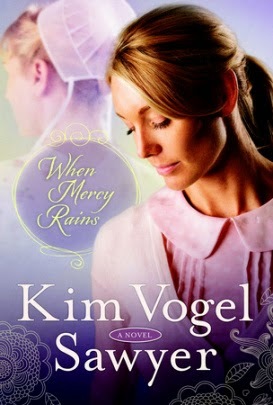 When Willowgrove’s mistress dies, everything changes. Fear of exposure forces Cecily to leave under the cover of darkness, embarking on a journey to finally find her long-lost sister. When the will is read, Nathaniel’s inheritance makes him question his future plans. Cecily and Nathaniel are forced to make decisions that will change the course of their lives. Is their love strong enough to survive? Disclaimer: I received this book from Bethany House for an Honesty Review. What come in your Mailbox/Inbox? I love Comments. Please leave me one. This is a meme that is consit of writting your post about what went on here in the last week. It a recap of your past week. 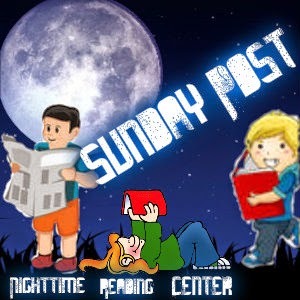 The Sunday Post was created by Kimba @Caffeinated Book Reviewer. I been kinda busy with getting things done. I have been getting things done this week with the holidays coming up. I been playing and check e-mails. Watching for what books I have comings. 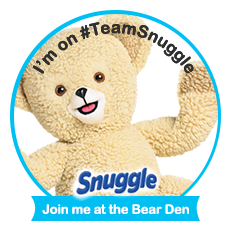 Entering Giveaways, and much more. I worked on some Icons for the review pages. 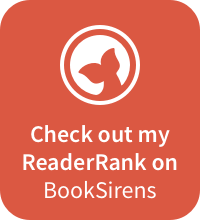 Added New Page under Reviews, It called "Books Read By Year"
What have been doing this past week? Buy the book: Pre-order your copy today! Description: Crop circles magically appear in Farmer Johnson’s field. A mysterious light sweeps over the night sky and awakens Farmer Johnson and Gilbert, the boy next door. What a cool adventure this book turns out to be. 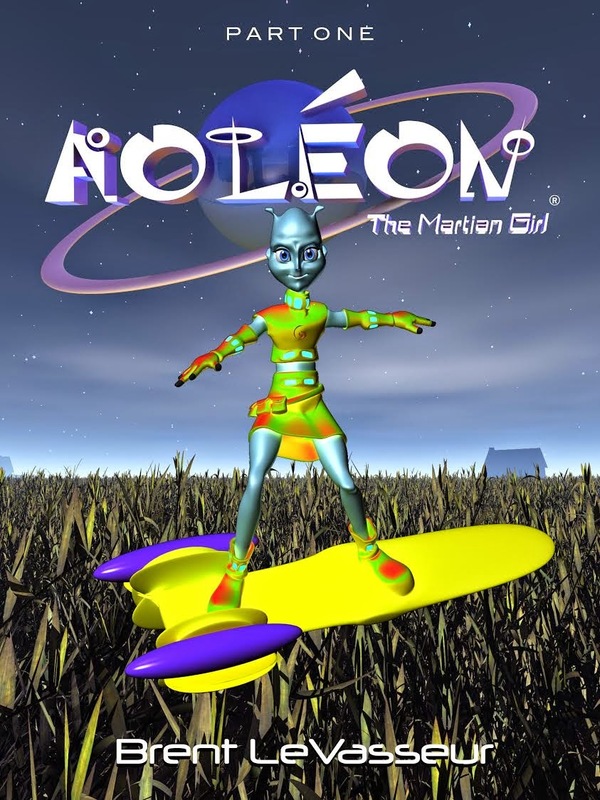 It about an earth boy named Gilbert and a martian girl named Aoléon. This story starts out on earth in Gilbert's room. Where he wakes up from a dream. We meet up with meeting Aoléon who enjoys crop circling. She shows up in farmer Johnson wheat field. Gilbert goes find out what just flew though his room brighten his bedroom with light. Then their adventure began once they are followed by farmer Johnson and his dog Tripod. We meet with several different characters. A Controller named Buzz at US Airbase. I do not want spoil any of fun for though young readers. It gave me a laugh as I was reading it. The characters are fun reading about in his book. Even the president of the United States with his personality and actions. This book is filled with action and adventure book. The illustration in the book is every colorful. The pictures are down quite well. I would say i really enjoyed the Mars picture when they were flying back to Aoléon home. This book really good for young readers. 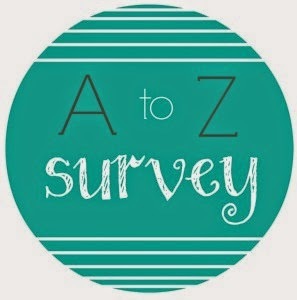 Anyone that enjoys action and adventures and along with those who enjoy learning about space. The pictures are wonderfully drawn. I enjoy looking at pictures and I even looking at them for a few minutes. 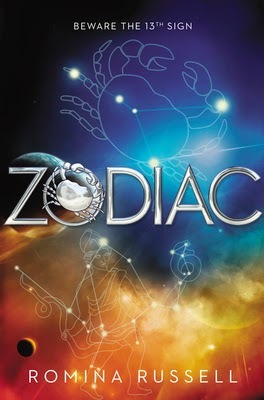 Description: At the dawn of time, there were 13 Houses in the Zodiac Galaxy. Now only 12 remain…. This book starts out with a family that live in house Cancer. It about a 16 year old student that has a unusual way of reading the stars. The family is Romina and Stanton and her dad. Her mother leaves her family. It mostly about Romina her talent. There a blast at her school that she attending and reading stars. Rho is told she has to re-do the test. Though she see something in the first time. She does it with out the measurements unlike her classmates. They all thinks she making up stories. There as event that happens while she with the band. What happens here starts a chain reaction. Only a few students survive the event. Any of the survivors that survive are sent back to their home planet. Though Rho and her friends end up going to House of Cancer. Everyone is surprised to see all destruction. Things get more exciting once they reach Ocean 6 station on House Cancer. The book get you hook to wanting more and it even get better. There are adventures throughout the book. There are twist and turns. It keep you guessing at whats going happen. Is he Dark Matter real? Is Rho Guardian of House Cancer? What will happen next? Did the Council do the right thing by taking Guardianship of Rho? This has been going around the Book Blogging community. I happen to see it on Sharon’s Book Nook Facebook Page. I hope you come and have some fun and get to know me a bit more. When I really started to read some really good books was in Middle school or late Grade school. Box (blue with a set of books in it., 5 shelves on headboard and on top of headboard, 3 full shelves on a small bookshelf on dresser, and row of books on big 3 shelves bookshelf with bins or box at the bottom and two stacks of unread books to review on fold able table. in my bed, or in the living room if I feel like reading. ― Dave Pelzer, A Child Called "It"
Wanting more book then I can read.. I will read a lot of books. I also like to buy books when I near a book store. This week has been a busy week for me. Though I have missed the week before post on Monday. Though I was just worn out to do much after Thanksgiving. This week I am a little late. This week is my birthday as well. Well tomorrow is my birthday. I will tell you all the books that arrived by far that did not mention in the post before. Description: Even when the lights are out, he can still see you…Paul Holten’s profession doesn't leave much room for doubt or conscience but he’s reaching his breaking point. The nightmares are getting worse, the jobs are getting harder to finish and the volatile relationship with his boss, Aaron, is falling apart. Now faced with the possibility of an impending death sentence, Paul makes the fatal decision to run. Drawn into one hellish situation after another, he’s forced to confront his dark past---and wonder if perhaps dying isn't the better option. Description: "You never got over her. You just left. "Erik Fiskare once had the bravery to make a gunman stand down. But now he lacks the courage to confront his own past. As a college freshman, he is drawn to the world of theater but prefers backstage to center stage. The moment he lays eyes on a beautiful, accomplished dancer named Daisy Bianco, his atoms rearrange themselves and he is drawn into a romance both youthfully passionate and maturely soulful. It is a love story seemingly without end. But when a disturbed friend brings a gun into the theater, the story is forever changed. Six lives are lost and Daisy is left seriously injured, her professional dreams shattered. Traumatized by the experience, the lovers spiral into depression and drug use until a shocking act of betrayal destroys their relationship. To survive, Erik must leave school and disconnect from all he loves. He buries his heartbreak and puts the past behind. Or so he believes. As he moves into adulthood, Erik comes to grips with his role in the shooting, and slowly heals the most wounded parts of his soul. But the unresolved grief for Daisy continues to shape his dreams at night. Once those dreams were haunted by blood and gunfire. Now they are haunted by the refrain of a Gershwin song and a single question: is leaving always the end of loving? 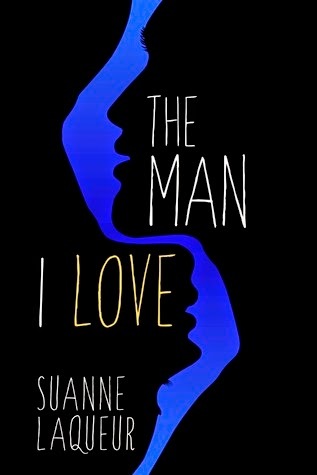 The Man I Love explores themes of love and sexuality, trauma—physical and mental—and its long-lasting effects, the burden of unfinished business and the power of reconciliation. Through Erik’s experience we reflect on what it means to be a man, a son and a leader. A soul mate, a partner and a lover. What it means to live the truth of who you are and what you feel. What it means to fight for what you love. Description: In the ancient Britannia, a land of people devoted to their religion, Freya, the daughter of the noble governor of a small village, lives free and serene. Grew up with boys, has spent his childhood running and playing with them among the woods, without any idea of what are the duties and occupations of a girl in a marrying age. Has already by lives as much as the just to be happy. One day, his brother and his best friend must leave the village: an invading army is putting at risk the security of the kingdom. Most of the young men must be trained with weapons to deal with any future attack, Frejya is desperate: both the kids are not able to fight and her fears for their fate. But it is not the most tragic event: his family receives a visit from a rich lady and of her followed by a distant county, in search of a noble bride for the son warrior of their mistress, so as to enshrine the unity of the two kingdoms. Despite the young is very attractive and the ways gentiles, Freya he will not tolerate it as warrior. She hates everything that has to do with the war, because it associates her with the loss of his loved ones, and to this marriage imposed, impossible to accept. Every night, it is categorically refuses to fulfill its duties as a wife. Here are the books I received at some point in the last two weeks. One came today.